Knowing and Doing the Will of God. All Registration includes lodging, 5 meals and a T-shirt. Deluxe 2 - sleeps 2 includes bedding/towels in a "motel" style room with 2 twin beds. Deluxe 3 - sleeps 3 includes bedding/towels in a "motel" style room with 1 full bed and 1 bunk bed. Cabin sleeps 4 and requires a sleeping bag/towels in a room with 2 bunk beds and a bathroom. Note: price is per man not per cabin. GOLF on Friday Oct 25th- Callippe Preserve Golf Club in Pleasanton. The golf tournament will start at 8am - 9am tee times. This year will be a four man scramble from the white tees. Cost is $76 for golf. 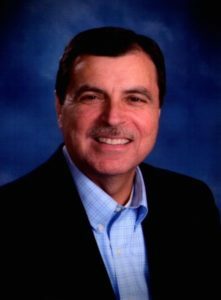 Rick Fisher serves as Vice President for Blackaby Ministries International. He and his wife Debbie, live in Easley, South Carolina. They have two daughters, Jamie and Betsy, sons-in-law Rob and Lucas and grandchildren Thomas, Ashley, Jase, Leighton and Gray. Rick earned a Bachelor’s degree from Gardner Webb University and a Master’s degree from Southern Baptist Theological Seminary. He has served 30+ years of ministry in the local church (18 years as Senior Pastor) and has been part of the BMI team for the past 10 years. Rick ministers to churches, associations and corporations with focuses in the areas of spiritual leadership, leadership development, Experiencing God, revival/awakening and prayer/prayer ministry. He is co-author of the book, “Developing a Powerful Praying Church”.